The rocks in the sea …. Joyfully continue of your way …. The present Shrine of Blessed Dominic Barberi was built in 1973. Blessed Dominic Barberi (1792-1849) was the Passionist priest who in 1840-41 brought the Passionist Congregation to England. The Passionist Congregation had been founded in Italy in 1720 by St Paul of the Cross (1694-1775). Shortly before he died in 1775 he said that for more than fifty years he had never been able to pray without praying for England; and about the same time he had a vision of his Passionists in England. That vision was fulfilled in 1840-41 when Blessed Dominic Barberi arrived in England and founded the first Passionist monastery at Aston Hall, near Stone, Staffordshire. Between 1840 and his death in 1849 Blessed Dominic gave a hundred missions and retreats all over England, as well as one in Dublin, preaching to clergy, to nuns and to people of every walk of life. 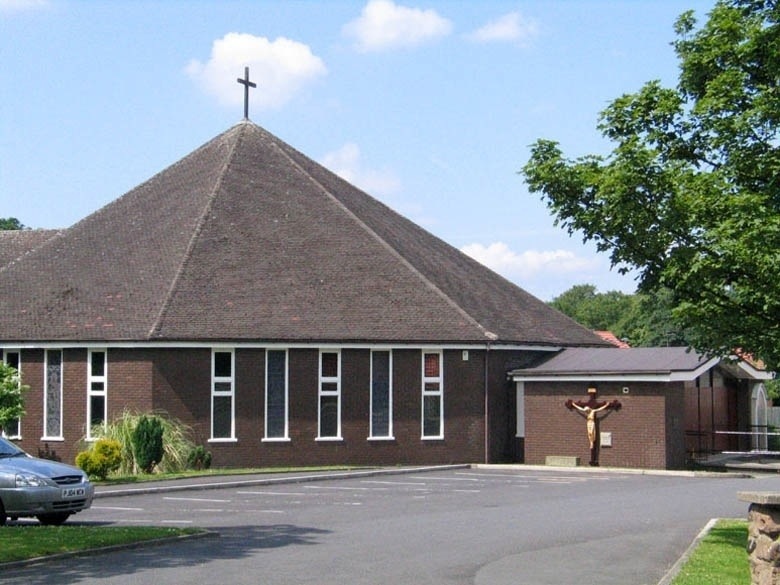 He began the foundation of a monastery at Sutton, St Helens, near Liverpool in early 1849 and, as he chose the site, he said that this would be his resting-place for ever. When, however, he died of a heart attack in Reading on 27 August 1849, he was buried at Aston Hall but a few years later the Passionists decided to close Aston Hall and so they removed Blessed Dominic’s corpse to their monastery at St Wilfrid’s, Cotton. In removing it, they discovered his body was incorrupt. Again a few years later, they decided to close St Wilfrid’s, too, and so, in 1855, they brought Blessed Dominic’s body to Sutton and placed it in the crypt below the old St Anne’s church. Blessed Dominic’s Cause for Canonisation was opened in 1889 and he was declared ‘Venerable’ in 1911. From 1923 there were big, public pilgrimages to his tomb, reaching 8,000 people on 27 August 1933. By then, however, the church was being affected by mining subsidence and in 1934 the tower had to be taken down. At the same time changes were made in the crypt to make it easier for pilgrims to visit Blessed Dominic’s tomb. 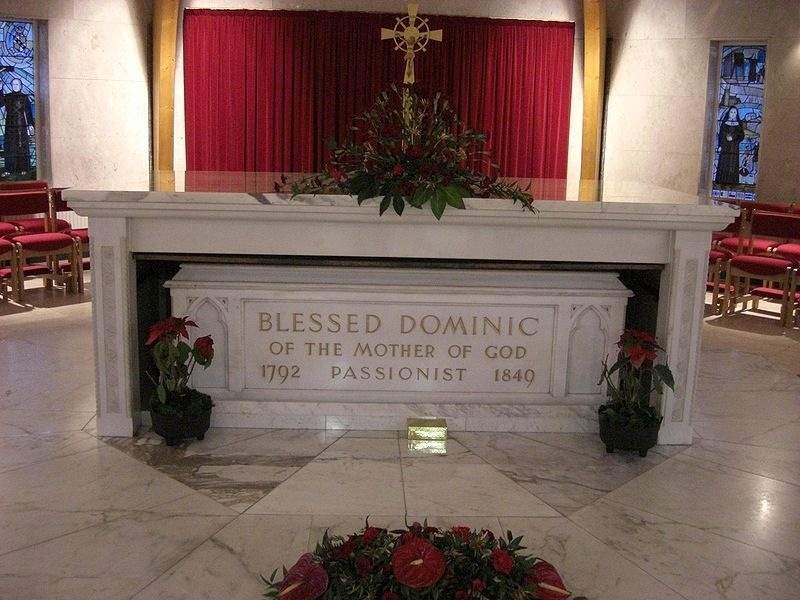 Even then it was still difficult for disabled and elderly people to go down the dark steps into the crypt and so when Dominic was Beatified in 1963 he was given a new tomb and a shrine in the Chapel of St Paul of the Cross in the old St Anne’s Church. By 1971, however, it was clear that the old St Anne’s Church would have to be demolished on account of all the damage from mining subsidence. That meant that the tomb and shrine of Blessed Dominic would have to be removed again and that the coffin of Father Ignatius Spencer would have to be moved from the crypt. Hence, when the new Church of St Anne and Blessed Dominic was planned, a large Shrine was also designed, not only to hold the tomb of Blessed Dominic but also to provide sepulchres for Father Ignatius Spencer and for Elizabeth Prout, Mother Mary Joseph of Jesus, the Foundress of the Sisters of the Cross and Passion. Their remains were brought here, like the tomb of Blessed Dominic, in 1973; and so today, whilst the chapel is the Shrine of Blessed Dominic, it is also the focus of devotion to Father Ignatius Spencer and Mother Mary Joseph Prout. The feasts of Saint Ignatius Loyola (July 31) and Saint Alphonsus Ligouri (August 1) are germane to the Rule, the Constitutions and the spirituality of Saint Paul of the Cross. 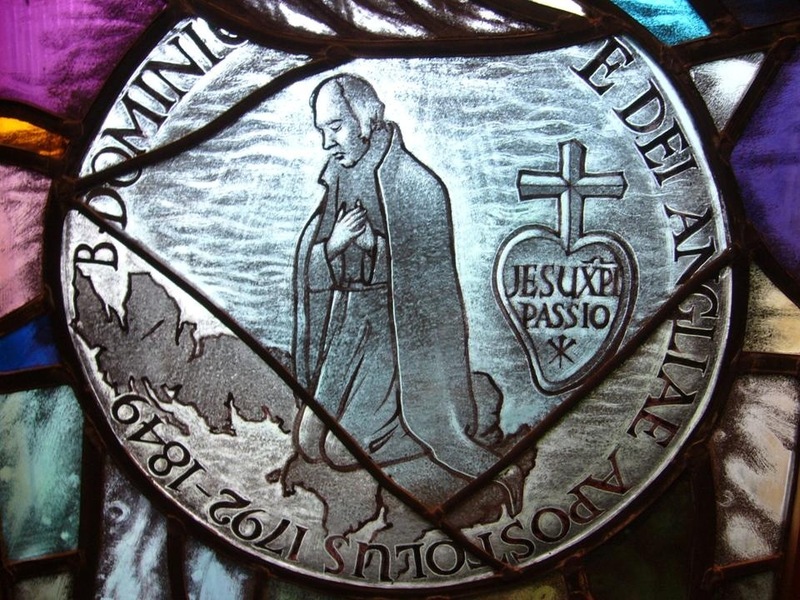 Once the Passionist Rules were approved in July, 1741, he exclaimed in writing: “I would emphasize that our Rules and Constitutions were allowed to remain in their essence, except for a very few things which do not touch on the essentials of the Institute. They were approved as written because they were based on the infallible truth of the Gospel.” The Rules and Constitutions came after twenty years of examination by the Holy See. They represent an essential inspiration given to Paul Danei in Castellazzo. In many ways the Paulacrucian experience parallels the contributions of the Founder of the Jesuits and the Founder of the Redemptorists. August 26th is the feast of Blessed Dominic of the Mother of God, Passionist.